Laos has experienced impressive economic expansion in recent years, averaging 8% GDP growth/year since 2006. This has spurred on rapid social change. Wealth creation will likely lead to the country graduating from its status as Least Developed Country by 2020, and its population is urbanizing at 4.6%/year, the second fastest in Southeast Asia. However, human development is still low, with 23% of the population still living under the poverty line. These factors have led to increasing urban poverty, with children suffering the brunt of marginalization. Peuan Mit (“Good Friends” in Lao) operates a holistic program for children, youth and caregivers living on the streets and in marginalized communities in Vientiane and Luang Prabang. The program successfully leverages several social businesses, which provides a foundation for its social services. In 2017, the program assisted 3,043 marginalized children, youth and caregivers. 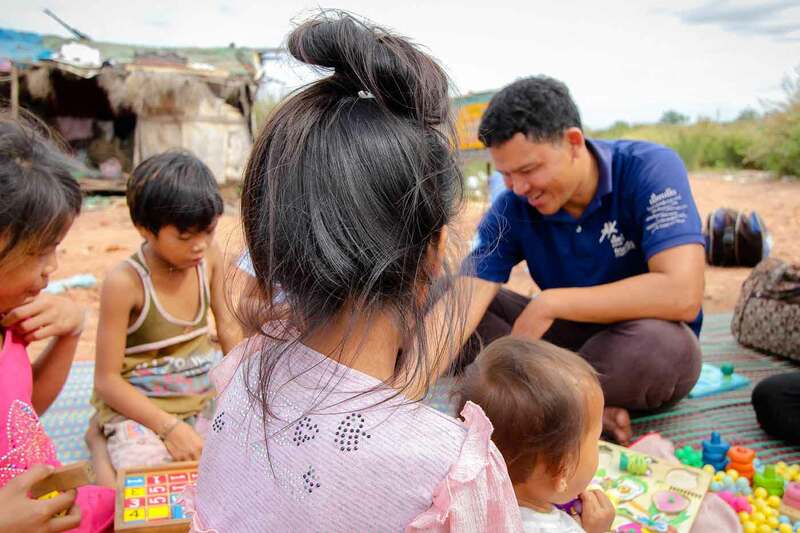 Due to the lack of essential services in Lao PDR, Peuan Mit implements a wide variety of activities, in order to respond comprehensively to the needs marginalized children. Immediate services are provided nighttime and daytime community outreach in the capital and its environs. For young children, Peuan Mit pursues reintegration into education and into caring family environments. Children and youth separated from family are provided short-term shelter at the Transitional Home, while Peuan Mit works in the background to reunite them with their families. Marginalized youth are linked with vocational training and stable employment. The program also works with caregivers to build their income generation capacity. Income generating initiatives such as cookbooks and other initiatives. Peuan Mit implements ChildSafe Agent training, the ChildSafe Travelers Campaign and a Vientiane ChildSafe Hotline. In 2017, the program created Laos citizen tips and directly protected 792 children through ChildSafe intervention.